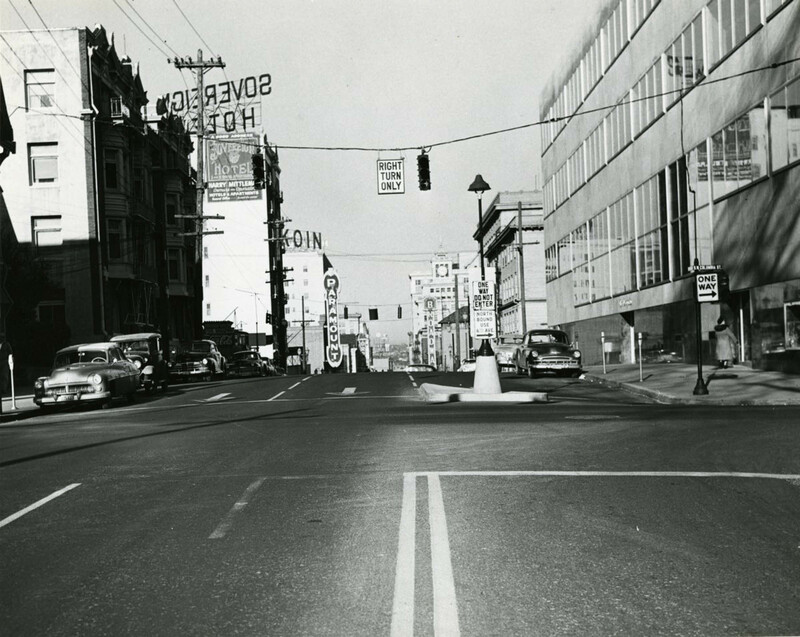 SW Broadway downtown was a one-way street until it reached Columbia Street in 1950 (here looking north). South of here Broadway was still two-way. A little more discussion about changing to a one-way grid is here in this earlier post.